Samsung has officially announced the Galaxy Note 10.1. 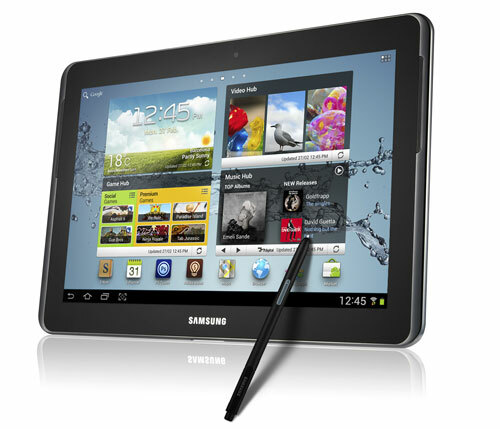 Galaxy Note 10.1 is Tablet with improved S-Pen functionality. The Tablet is designed for businessmen, designers and students. Samsung Galaxy Note 10.1 has 1.4 GHz Dual-Core processor, 10.1-inch 12800 x 800p display, 16/32/64 GB Internal memory and 7,000 mAh battery. The Galaxy Note 10.1 powered by Android 4.0 Ice Cream Sandwich. Samsung also improved the S-Pen and now comes with eraser at the back. Users can erase content on the Note. Galaxy Note 10.1 is 8.9mm thick and weighs only 585 g.
Company added split screen feature from which users can divides the display to take notes on one side and do some other work on second side. The tablet has 3 MP Camera, Wi-Fi, HSPA+21 Mbps support.